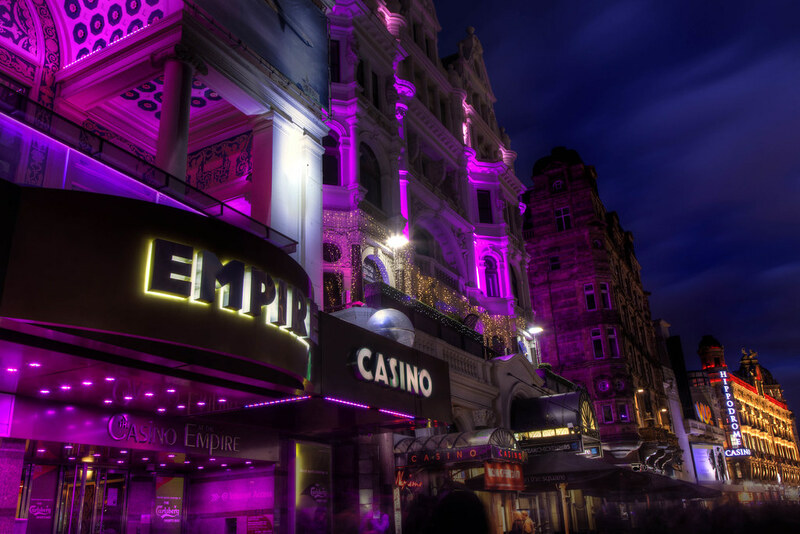 Leading in both size and substance, the Casino at the Empire remains one of the most successful casinos in London. Never losing its buzz despite being surrounded by other casinos and high-class facilities in London’s Leicester Square, the glamorous Casino at the Empire has the vibe of Las Vegas and the popularity and exclusivity that only a London casino could provide. Spanning a staggering 55,000 feet and earning the distinction of being one of the busiest casinos in the UK, the Casino at the Empire offers a range of games and first-class services that fit the needs of every type of gamer imaginable. Whatever one’s tastes in games are, one is sure to find the perfect fit in the Casino at the Empire. With Three-card Poker, electronic gaming and slots, as well as American roulette, Blackjack and Punto Banco, both card-playing and table-playing gamblers alike are promised the time of their lives at the casino. There are hundreds of video slot machines, and 87 electronic roulette machines, so guests can simply spend the whole night alone, playing till their heart’s content. The Casino at the Empire also features classic IGT games and slot games like Cleopatra and Pharaoh’s Fortune, where patrons can win up to £4,000 on the progressives and the slot machines. The buzz and excitement of Vegas, the exclusivity of London, and the marvellous taste of authentic Asian cuisine are all rolled into one with the Casino at the Empire’s FuLuShou restaurant. FuLuShou is located within the casino’s premises, but away from all the noise and chatter of the casinos, allowing guests to enjoy a nice quiet meal with friends and family. FuLuShou gives the Casino’s guests a night to remember by allowing them to watch as their food is prepared right in front of them by expertly trained chefs. Only the finest ingredients are used in FuLuShou, and head chef Wai has spent years perfecting his technique. Whether eating alone or in a group, just dying for some authentic Asian or thirsty for some tea, FuLuShou has everything you could ever want. Because of the Casino’s size, it also offers its clients four bars to choose from: the Carlsberg – perfect for the sports fanatics; the Icon Balcony Bar, which has an excellent view of Leicester Square; the Shadow Bar – for those who want a livelier atmosphere; and Vapor, a club with electronic music playing regularly. 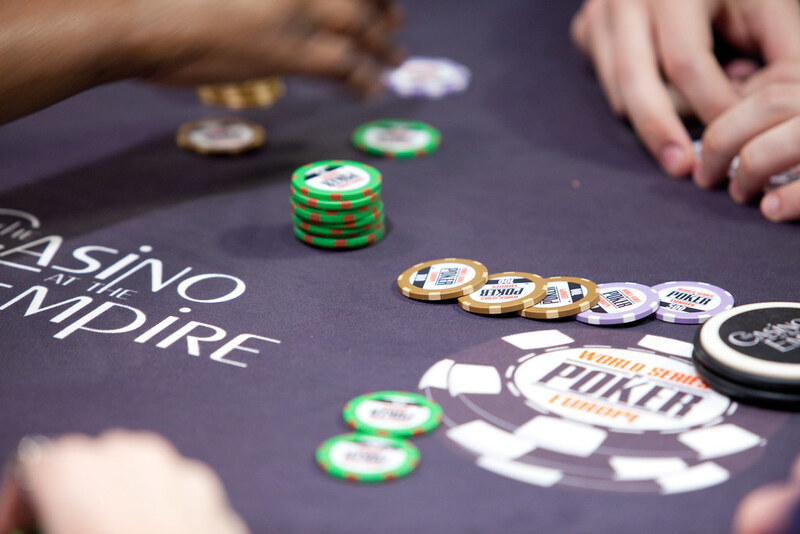 The Casino at the Empire prides itself in keeping things interesting for its members, so regular tournaments at the casino are to be expected. A £10,000 jackpot is available everyday on their slot machines, but Tuesdays, Wednesdays and Thursdays also see them holding Slots Tournaments. For those less inclined to gamble, a Cuban Cigar and Rum Tasting event is also available for £15 for members and £25 for non-members. There is no dress code imposed in the Casino at the Empire, but smart dress is preferred. Unlike other London casinos, membership at the Casino at the Empire is not a requirement, and patrons can simply walk in and use any of the casino’s facilities, be it playing at the tables or dining in FuLuShou. There is, however, a Player Rewards programme available for casino regulars. Joining the Player Rewards Programme is free, and one need only be over the age of 18 to be able to join. As members make use of the casino’s facilities, they accrue loyalty points, which can be redeemed for various special offers and discounts, as well as freebies, at a later time. Designer gifts and trips to Las Vegas are among the list of prizes available to members who participate in the Player Rewards programme.